We know you are an angel. We know because your angelic nature shines through in everything you do…well, most of the time. Sometimes you show a little of the devil inside. You play practical jokes on your younger brother. The fake spiders you hid in his bed in high school were hilarious, but kind of evil. But you volunteer to help kids with after school programs, and you are a “big sister” to a kid in town. You just need something more physical to show off your angelic ways. These Medium White Feather Angel Wings are just the thing to let people know that your devilish practical jokes are behind you. You want your “little sister” to know you are here for her. 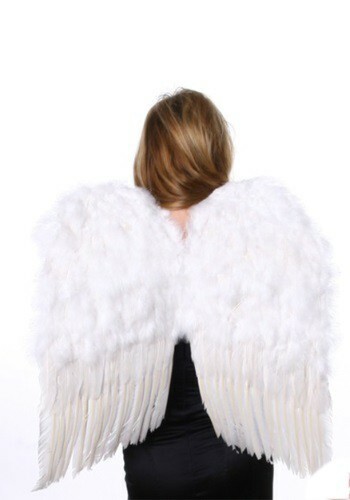 These white wings will let your entire community know you are more than just nice, you are absolutely angelic!